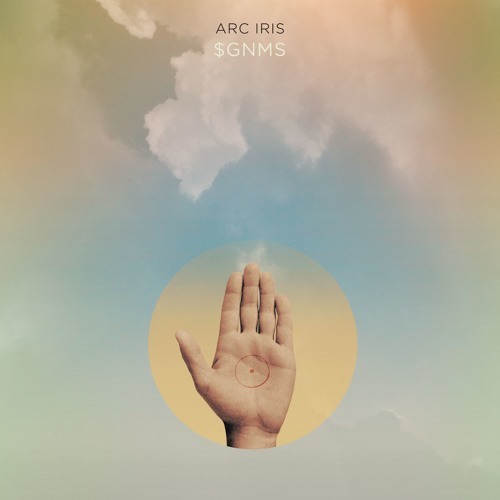 $GNMS is the first track off Arc Iris' upcoming album, Icon of Ego, out October 12th on Ba Da Bing Records. Preorder here: https://tinyurl.com/ArcIrisNewLP This fall, Arc Iris releases Icon of Ego, its third groundbreaking album, as a trio that packs the heft of a far bigger band with fully realized sonic and visual intensity. Overcoming rebuffs and rejections, Arc Iris has become an unstoppable force out of necessity. On Icon of Ego, vocalist/guitarist Jocie Adams, keyboardist/sample artist Zach Tenorio-Miller and drummer Ray Belli have crafted a vividly expressionistic new album that reflects both the group’s protean talents as well as its journey of survival. Soon after its self-named 2014 debut on the ANTI- label, Arc Iris faced considerable adversity. Critical acclaim, tours with St. Vincent and Jeff Tweedy and festivals like Bonnaroo followed, all creating for Arc Iris the belief that they had beat the long music industry odds. However, the group lost its manager, followed by its booking agent, then was dropped from the label. Band members departed. Opportunities evaporated. Within two years, Arc Iris self-released Moon Saloon, in the US while British independent record label Bella Union released the album in Europe. Arc Iris assembled its own promotions team and booked its own shows. Notable is what Arc Iris has achieved completely by itself: tours supporting Kimbra, Gene Ween, a complete re-imagination of Joni Mitchell’s Blue performed at Washington’s Kennedy Center, and a growing, international fan base that has remained dedicated throughout. Icon of Ego finds a happy middle with a smaller label, a more focused support team, and a stronger, more experienced band. Recording at Providence’s Columbus Theater, home to silent movies and vaudeville during the 20s, the band has evolved into a concentrated pop-prog explosion, mixing styles with disparate elements that captivate and surprise. With heavy synthesizer work by Tenorio and Adams, and seemingly impossible transitions executed effortlessly by Belli, the songs on Icon of Ego carry a thick, analog electronic sound that harks back to the 70s. Presiding over these are Adams’ powerful vocals that house the energy under pop forms. Arc Iris is never more self-defined than when faced with difficulty. Icon of Ego is about Arc Iris overcoming adversity and ultimately coming out leaner, sharper, and more vibrant.